This is part 2 of a two-part series by James Lehman, MSW on Blended Families. In this article, James discusses the importance of respectful behavior in a blended family, and how parents can achieve this from all the children in the family. Over the years, many parents in blended families have come to me to talk about the subject of disrespect. In some cases, their stepkids didn’t respect them, and in others, their biological child did not respect their new spouse. The truth is a child may never respect his stepparent, but he does have to know that he can’t get away with being rude or obnoxious to them. The only way to achieve the desired behavior is to be certain you and your spouse are united in making sure that your kids treat you with respect. The child may never get over the loss of his mother or father…but there’s nothing you as a stepparent can do about that besides accept it and avoid getting into fights about it. If you haven’t done so already, sit down with the kids in your blended family and lay out some ground rules. Start by saying, “In our family now, this is what a parent is.” And, “In our family now, these are the expectations on every child.” I recommend that you tell your stepkids from the beginning, “You don’t have to call me Mommy, but you have to be respectful and follow my directions.” And both adults need to do this with all the children in the family. 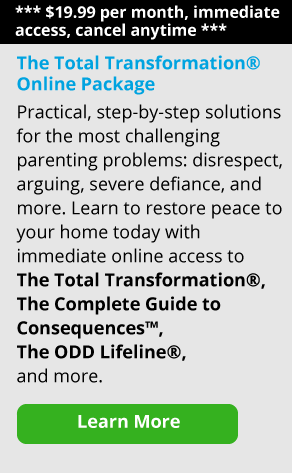 What if Your Stepkids Disrespect You? Naturally, stepparents become very upset when their stepchildren are disrespectful to them. I’ve had parents come to me in difficult situations where the kids were really being rude or obnoxious, saying things like, “You’re not my father, I don’t have to listen to you!” Let me be clear: parents have to be careful, because once that kind of behavior gets entrenched, it’s very difficult to stop. By being rude, kids protect themselves—and they train adults what not to ask of them and what not to expect of them. The answer here is that you and your partner have to decide ahead of time how the kids in the family will talk to each parent. You set the expectations together, and then you remain consistent; you hold each child accountable. Now, the consequences for that kind of behavior should be swift and clear. The kids in the family should know that if they disrespect their stepmother or stepfather, they will lose their cell phone privileges for the rest of the night, for example. In other words, there should be no tolerance for that kind of disrespect. When it comes down to it, both adults work hard for the family, both adults are struggling, both adults are making sacrifices—so the rule is that the kids have to treat them both with respect. They don’t have to call them Mom or Dad unless they want to, but they have to be respectful. Know that as a parent or stepparent, you cannot read your stepchild’s mind. In other words, if this child doesn’t like you telling him what to do but he does it anyway, don’t challenge him on what he’s thinking. Don’t worry if he’s giving you “that look.” When you tell him to go do his chores, if he does them whether he likes it or not, that should be enough. So, don’t try to read kids’ minds to determine if they really don’t want to do something, or if they really don’t like you. You have to let that go until everybody gets to know each other. Here’s the bottom line: if you carry yourself with respect, kids will find things to like about you. This is because kids want to like people that they respect. Know that he or she may never get over the loss of his mother or father, or that of his original family. But there’s nothing you as a stepparent can do about that besides accept it and avoid getting into fights about it. Some parents wonder how they can be fair while still maintaining the trust of their biological child. Know that it’s natural to feel a stronger connection to your own child, a special love for and commitment to them. You’ll always feel that special connection with your biological child, don’t get me wrong. But part of the thing that you’ll struggle with, sometimes every day, is that you have to treat these kids the same. Don’t worry that you will lose that connection with your biological kid by doing so—that will never happen. There may be anger, there may be disappointment, there may be separation, but that connection is there by nature. Often in blended families, it’s very common for the biological kids to challenge their birth parents. They’ll accuse them of being unfair, or say things like, “You’re treating them better than me.” Or, “He treats his kids better than you treat us.” And you might also hear, “He treats his kids better than he treats us.” And parents have to work very closely together to solve those problems. Let’s say the answer is, “You would have seen her give three cookies to her kids and two cookies to us.” That’s something they can see, not what they felt. So find out what they saw, what they heard, what was done. That’s the most effective way to investigate these kinds of statements. That’s also one of my key questions when parents tell me their kids are acting out at home. One of the things I used to ask them in my office was, “If I was there, what would I have seen?” And then they’ll say, “You’d have seen my son punching a hole in the wall and threatening his sister and calling his brother names.” I want to know what I would have seen there because that’s how I can investigate what they need to do differently. So again, you’re asking for facts now. It’s the parent’s job to say, “Okay, I’ll look into it,” and then talk to the other parent in private. If you want to come together as a family, I think you have to make rules about doing things together. So you can make the rule, “On Wednesday nights we all watch a video.” This rule is in place whether the kids like it or not. Let them know that if they refuse to watch the video, then they will lose their electronics for the rest of the night. But the deal is, “We all watch a video. We all go to the zoo. We all go to the beach. We all go to the park.” Don’t overdo it, especially with teenagers. But doing one activity as a family per week, not including church, can be helpful in this kind of situation. Sit together in the living room eating popcorn and watching a DVD. Or go to the park together, go to the beach and find seashells. Whatever it is, find one thing a week to do together. Instituting a family day gives kids the message that “This is important to us, and it’s so important we’re going to make it happen.” They learn that you do things as a family and that you respect each other when you’re doing them. With younger kids, having a night where you just play board games is really fun. Older kids may resist it at first, but younger kids will love it. If you start when they’re small, that becomes part of their expectations for family night—and it also becomes their way of understanding how families operate. One last word about kids: children have to be empowered to express what they feel and think, and those thoughts and feelings have to be accepted at face value. When two adults decide to blend their families, kids have no choice. They can feel powerless, threatened and overwhelmed. The idea is to give them appropriate ways to express themselves so they don’t have to act out their feelings behaviorally. This doesn’t mean they get to make decisions about how the family will run, but they should certainly have input in an appropriate way. This input is usually best received by the child’s birth parent. If you try to do a family meeting without getting the input first, it’s very likely that people will get defensive or feel threatened. But if birth parents can talk to their kids about their concerns, it is much easier to work them out, and it’s much easier for the two adults to come to an agreement. So the idea is not to squelch kids, the idea is to set up a situation where they can express their feelings safely and appropriately. How will we know something isn’t working? What will we do if something works? What will we do if something doesn’t work? If you analyze the decisions you make this way, you’ll always have the ability to measure if you’re accomplishing what you sought to do, as well as change what you’re doing if necessary. One of the key things that a blended family needs is two adults who are mature; you’ve really got to grow up as a parent. It’s hard to see your stepchild when they come back from a holiday with their other set of parents, and they have better presents than you gave them, or when they’re bragging about the things they did together—or when they’re sad about the things they used to do before their original family split up. But you’ve got to be able to handle that. Without a doubt you may have feelings about it, but you have to have mature ways of dealing with those emotions. So, if you’re hurt or frustrated—and it’s normal and human to be hurt, frustrated and confused in this situation—you need to be able to talk to your partner or call your friends. If you need professional help, go to a counselor. The main thing is, you need to be able to work toward accepting the situation and not trying to control it. It’s not that you shouldn’t feel things—it’s the way you deal with the things you feel that is important.